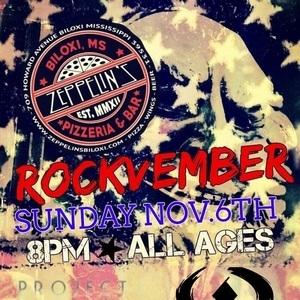 Live at Zeppelin's in Biloxi Nov. 6th!!! 4 Great Local Rock Acts, Project Nine, Nujac, Inside the Gray and Another Day's Dawn are going to rip up the stage!! Be there for an all ages show starting at 8PM! !